Coaster Sleigh Bedroom Set Stuart CO200300SET. 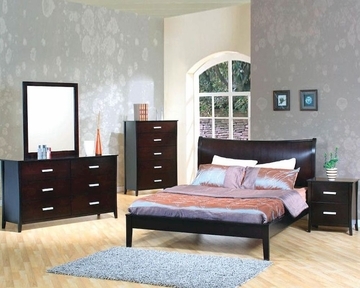 The Stuart sleigh bedroom sset will create a warm and inviting master bedroom with sleek contemporary style. The high headboard has an elegant curve, creating a soft modern look, while smooth straight side rails and square tapered feet keep the piece in balance. 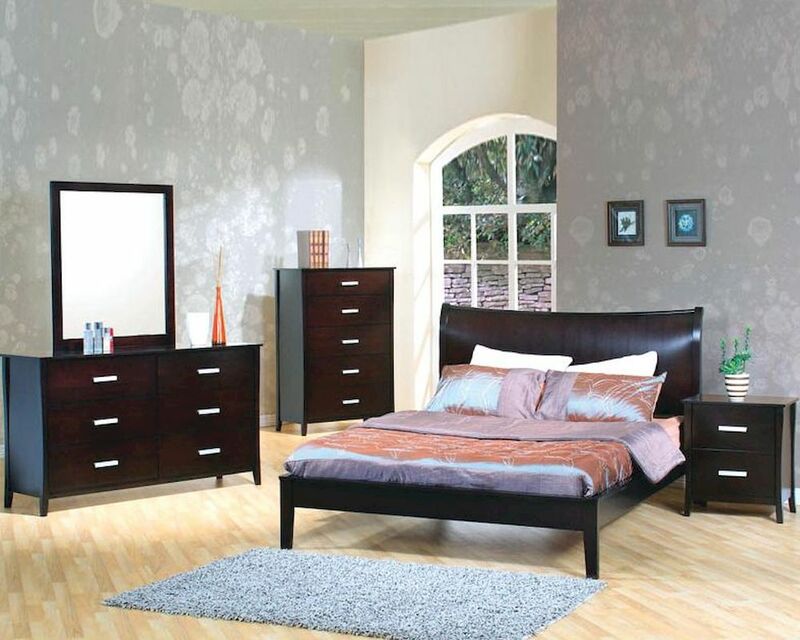 Finished in deep dark Cappuccino, and accented with cool contemporary silver tone hardware, these pieces will create a bold look in your bedroom. 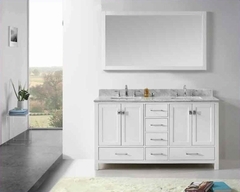 These pieces have clean cases, with straight smooth edges and soft modern touches. 1 x Night Stand CO5632. Night Stand – 23.5"W x 16.5"D x 25"H.
Dresser - 62.75"W x 17.75"D x 35"H.
Cool silver tone metal handles. Straight clean lines, smooth edges, tapered feet. Deep and spacious storage drawers.